My fabulous friend Dani has a fabulous holistic nutrition & mindful living blog over at Enlightened Life. I love reading her recipes, and subscribe to her blog updates. This morning, I rolled over in bed and checked my emails. 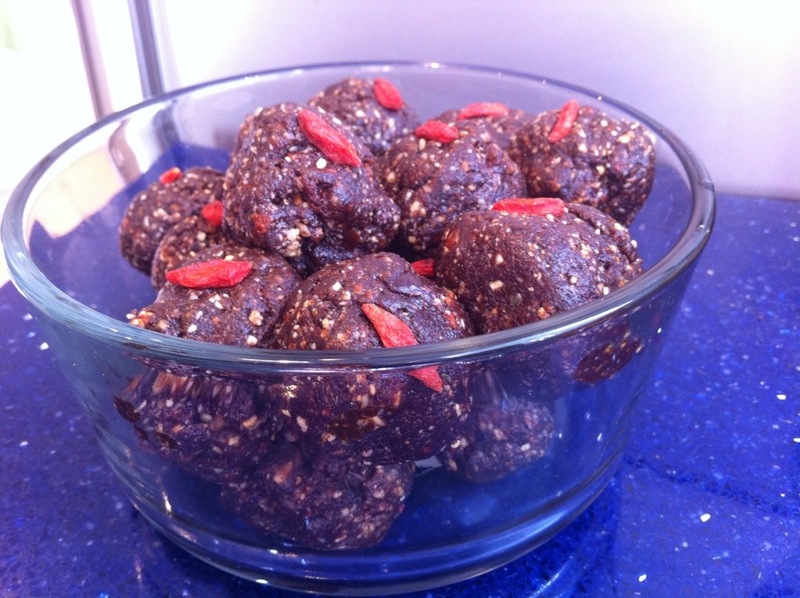 I was delighted to see a recipe for Orange Cacao Goji Balls on Dani’s site! I sat around craving them all day, and finally gave in this afternoon and made my own version — with just a little more chocolate, swapped the nuts around, and added some hemp seeds. Because really, I’m putting hemp seeds into everything these days, so why not? I love making superfood truffles. My usual go-to recipe is to make these Tahini Truffles or adding superfoods to these these Pistachio Almond Truffles. But I’ve been seeing different versions around the blogosphere during Vegan MoFo that are made with Medjool dates as the base (these Mocha Energy Balls from Not Just Granola are next on my list). 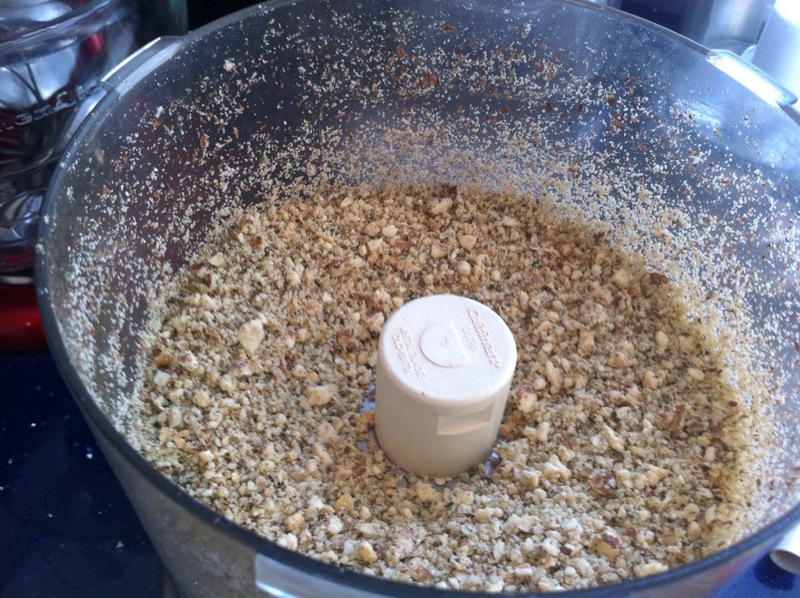 There’s a bit of a trick to how fine you want to blitz your nuts in the food processor. 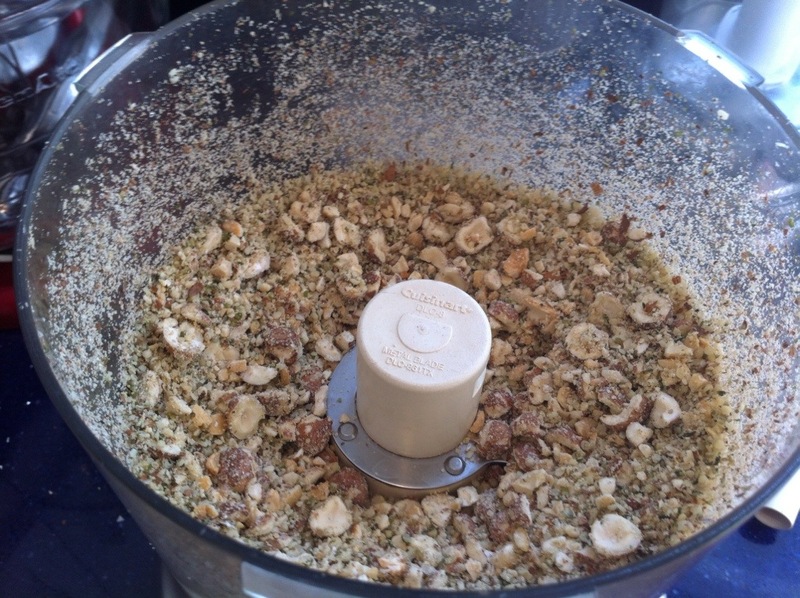 You want the oils to just start to come out so that you could form a ball with the nut mixture. 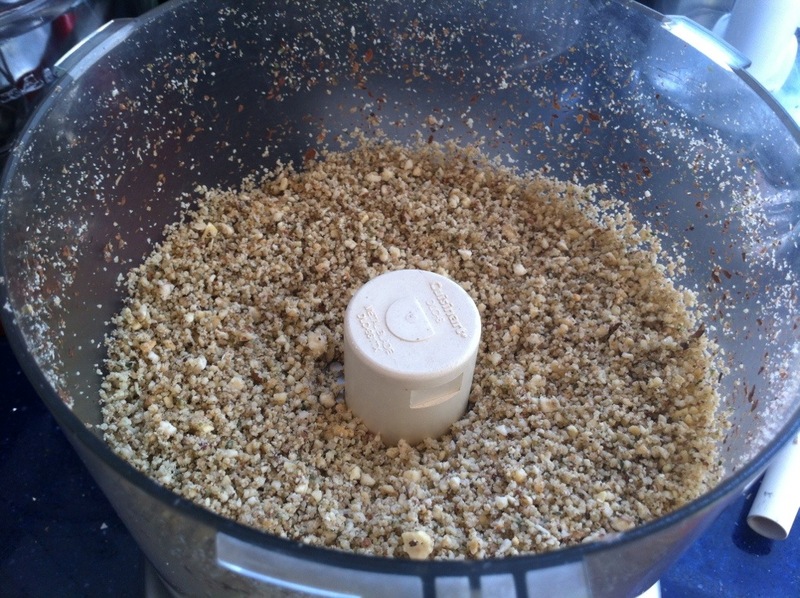 And you want to go just a bit longer until some of the mixture starts to clump together — but no more or else you’ll make nut butter! I highly recommend one (or two!) 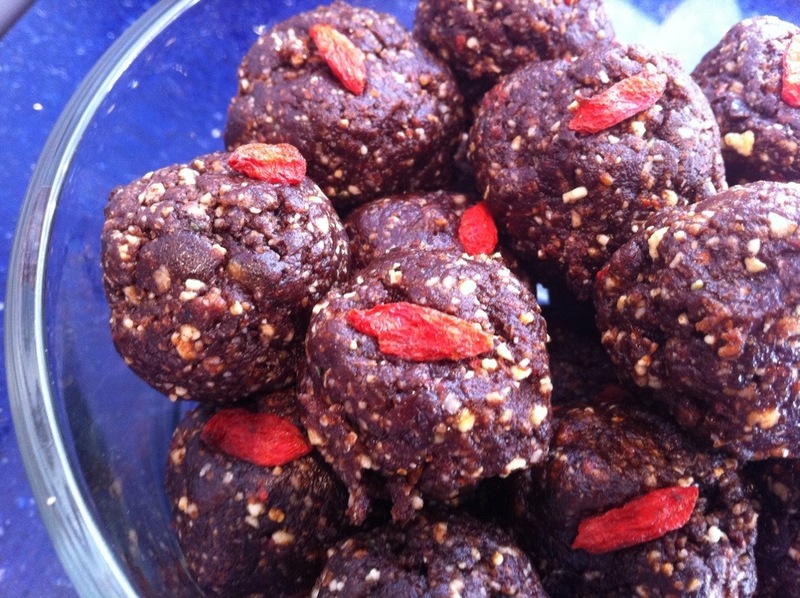 of these energy balls as a mid-afternoon pick-me-up. Because who doesn’t like chocolate + orange in the middle of the day? Yummmm. Place the dates and goji berries in a small bowl and cover with warm water – let soak for 5 minutes to soften. 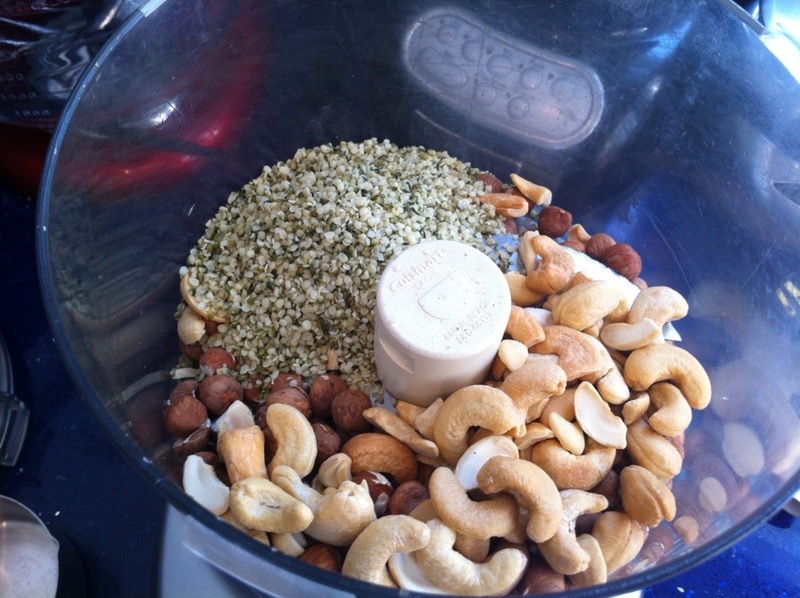 In a food processor, blitz hazelnuts, cashews, and hemp seeds until they become a fine powder. Drain the dates and goji berries, and add to your food processor along with the maple syrup, cacao powder, salt, and orange zest. 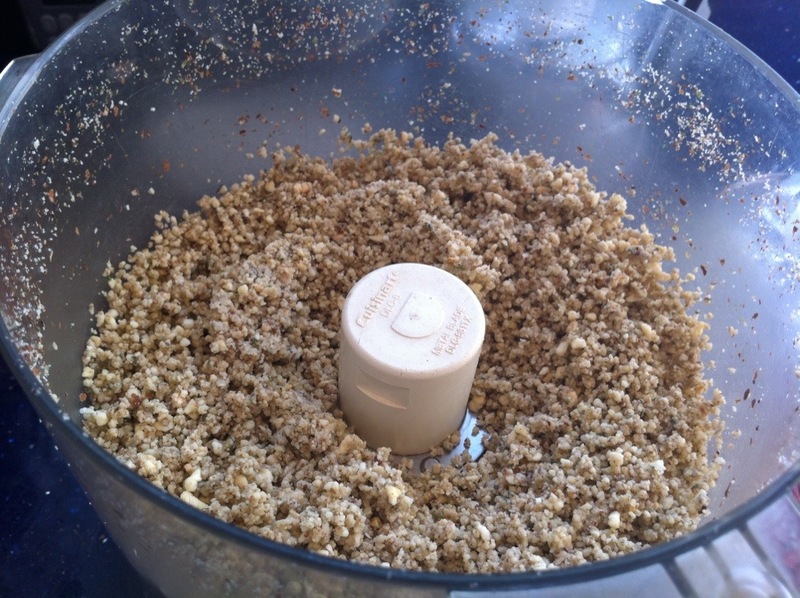 Blitz until all ingredients are well combined and you can form balls with the mixture. 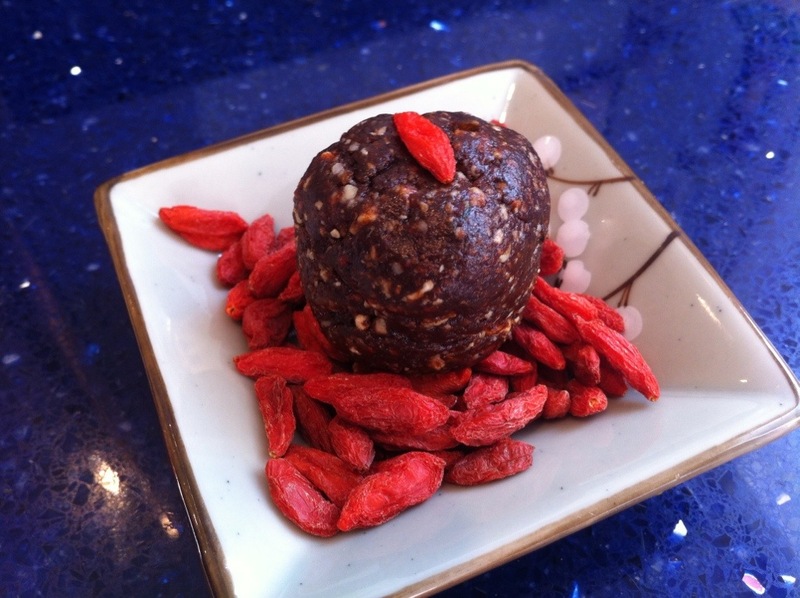 Roll the mixture into golf ball-sized balls, and top each with a goji berry. You can also choose to roll them in ground nuts (or even hemp seeds! ), or even to dip them into melted chocolate if you want superfood truffles! Pop into the fridge for at least an hour, then eat with delight — serve them straight from the fridge. That looks delicious! I love gogi berries although I have never bought them!